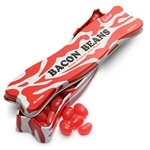 At Meat Maniac, fun novelty candies are our specialty! 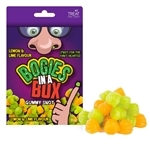 Our candies are not just for gags and laughs. 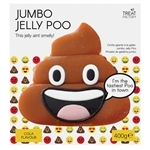 We have delicious and unique candy you won’t find anywhere else. 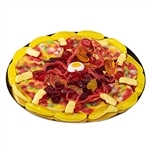 Our gummy candy includes everything from gummy sushi rolls to giant gummy corn, pizza, burgers, and more! 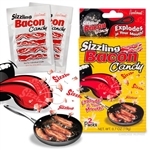 If you like it hot, we have the best spicy candy made from some of the hottest peppers on Earth. 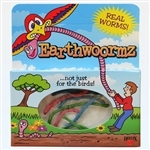 These make great gifts for party games to see who can best handle the heat! 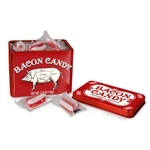 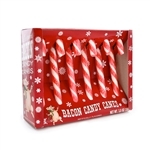 Of course, we have plenty of bacon candy including our bacon jelly beans and gumballs, bacon cotton candy, bacon mints, and more. 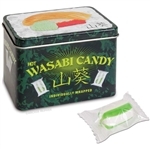 Whether you’re into spicy candy or scorpion suckers, we have it! 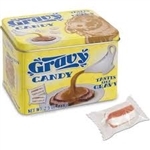 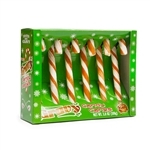 Our novelty candy selections are delicious and fun for everyone. 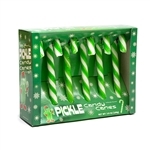 From our pickle-flavored candy to our novelty bacon candies, we have the best selection with the most affordable prices and fast, free shipping on all orders over $75.